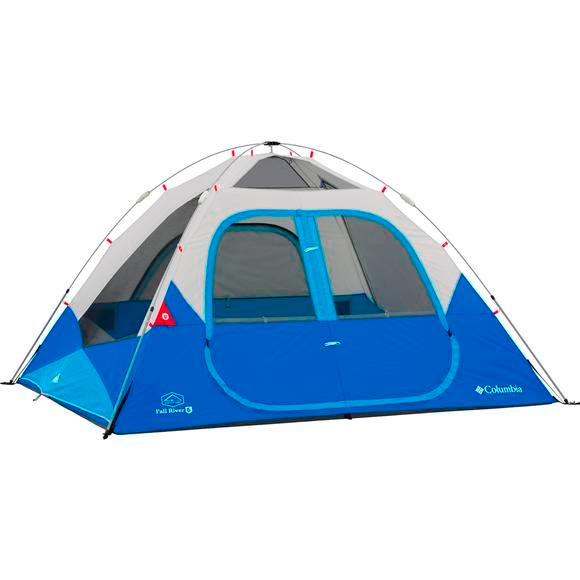 The Columbia Fall River 6 Instant dome tent gives you a simple and easy shelter away from the elements with an easy 30-second setup! Sleek dome shape offers great ventilation while the rain fly with extra high awning keeps the moisture out while allowing easy access. Double door construction with four large windows, the Fall River utilizes fiberglass poles for a sturdy and durable structure.